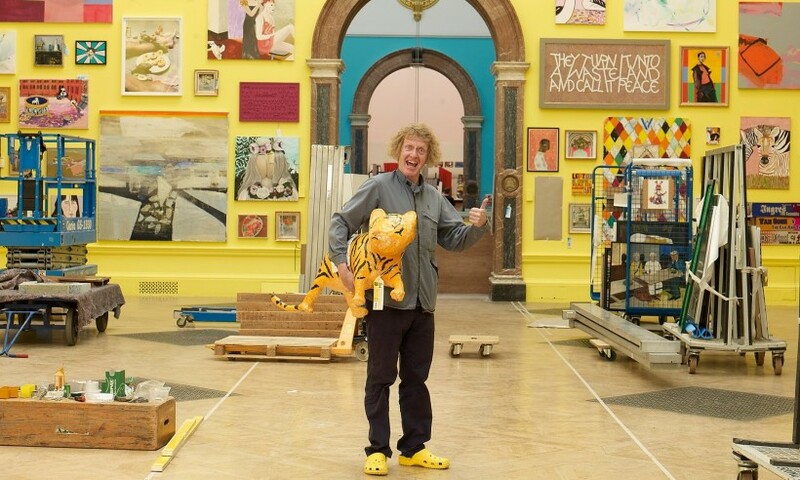 What fun it is to walk around the Royal Academy Summer Exhibition with Grayson Perry. It’s a few days before it opens, and the galleries are in chaos, like the house in The Cat in the Hat before the Cat clears up. Paintings are stacked against walls, sculptures huddle in mismatched families. Trapdoors gape open and elevators bring up works; people with clipboards point at walls; there’s the constant buzz of a drill. Reviews of the Royal Academy Summer Exhibition in: The Guardian; The Times; The Telegraph; the London Evening Standard.